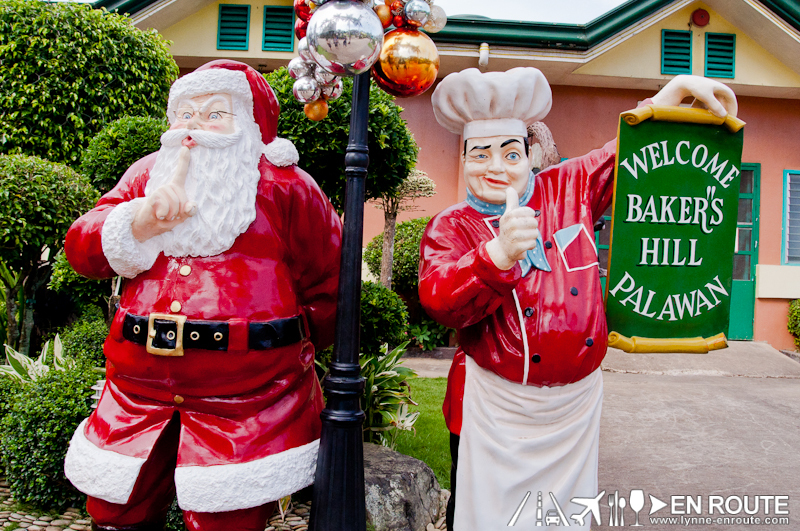 While touring Puerto Princesa City, one of the places that shouldn’t be missed (especially if you have kids) is the popular Baker’s Hill and Restaurant. It is just beside the Mitra’s Ranch that is normally part of a tour package. One thing that makes Baker’s Hill in Puerto Princesa popular are the baked goodies. Although not unique, they pack good flavor. The must try would be the monggo and ube hopia. It is a popular rest stop for most tourists. 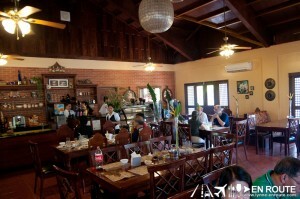 While Baker’s Hill in most tour packages is included as a stopover to buy the hopias, it also has great lunch meals. 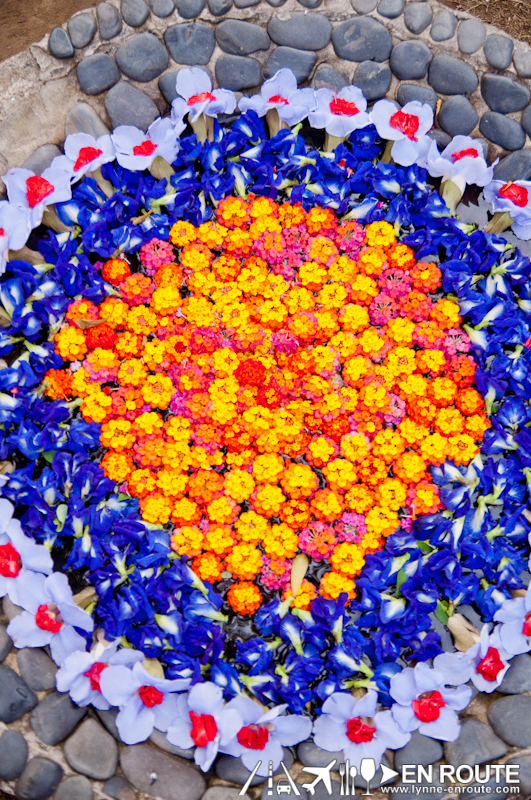 This post discusses more of that. The other reason that Baker’s Hill popular is that is a mini park and playground for the kids and kids at heart. 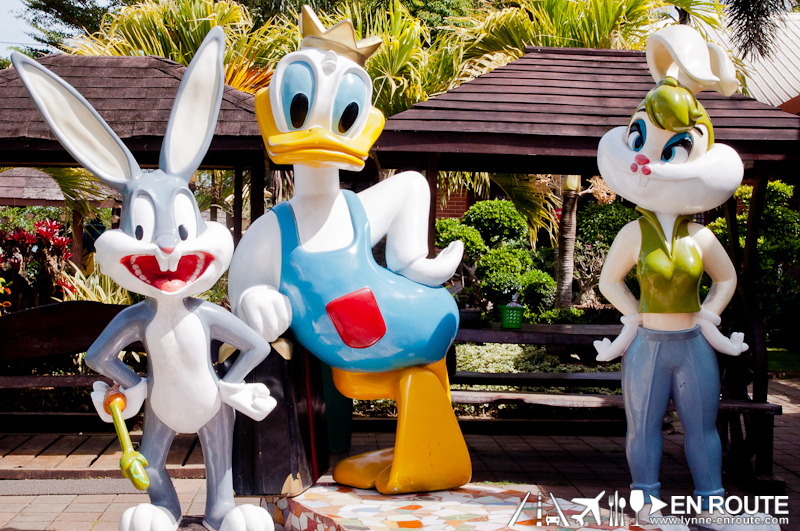 Famous and familiar larger than life figures are scattered all over the garden. Photos are definitely welcome here. It also has a restaurant named Baker’s Kitchen, and with large signboard up front bragging of brick oven pizzas, it would be a shame not to try out a few of the wares they had to offer. 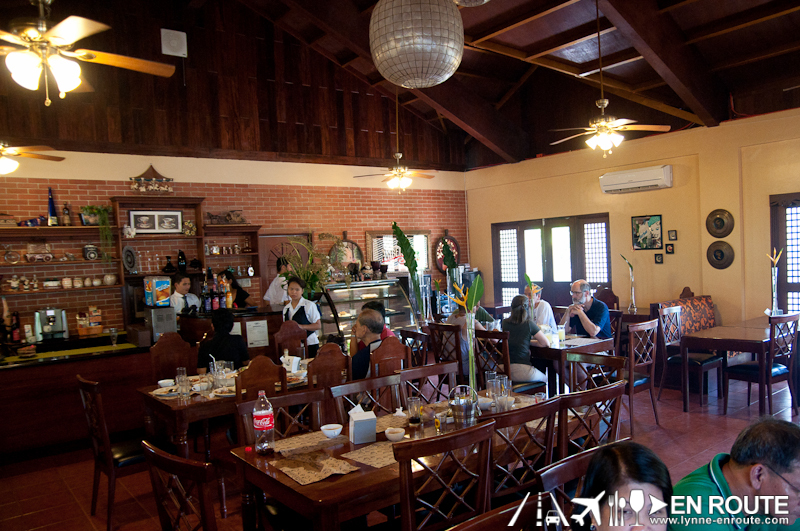 Like a small family run cafe, the place is comfortable and quaint. It sits about 50 people indoors and there are a few more tables and chairs in an al fresco area. Start off with the easiest stuff to cook: the Brick Oven Pizzas. 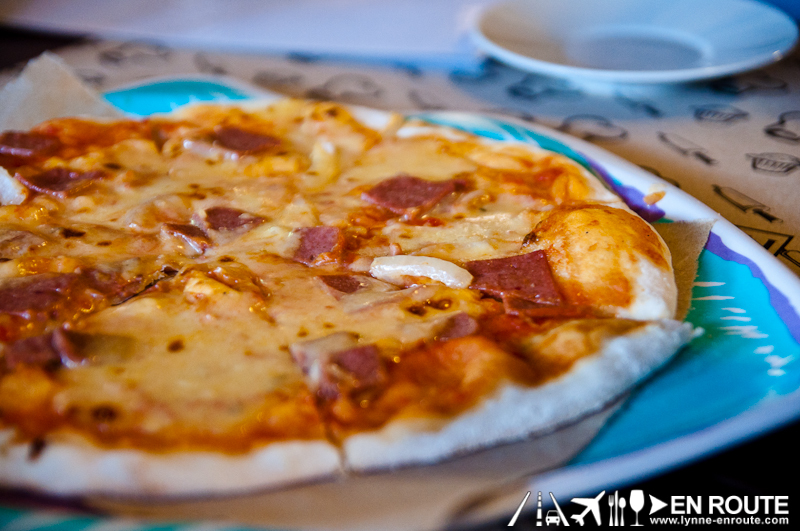 Depending on the kind you get, it can range from PHP 200.00 to PHP 350.00 given the toppings. 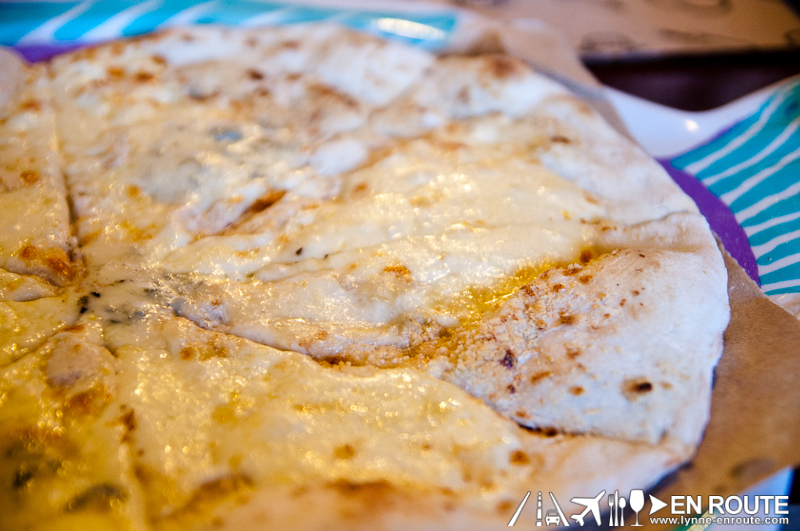 The 4 cheese pizza was tasty and the usual saltiness you would expect a pizza made of four different kinds of cheeses is there. The crust is more on the soft side, making it a bit chewy. Baker’s Hill also has a variety of other viands from both land and sea. The grilled pork liempo is tender and good for land meat lovers. 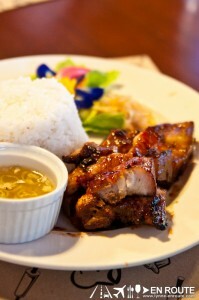 However if you are in Palawan, it is the seafood that becomes the star of the show. 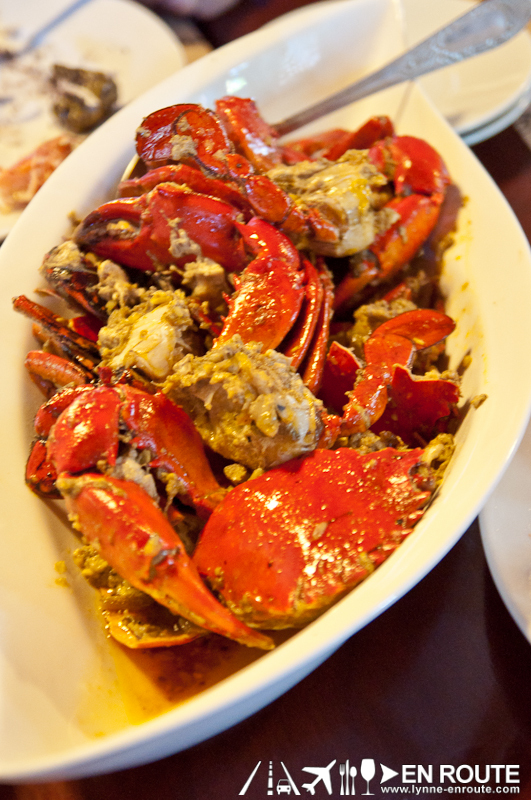 Buttered crabs and shrimps are just too irresistible. 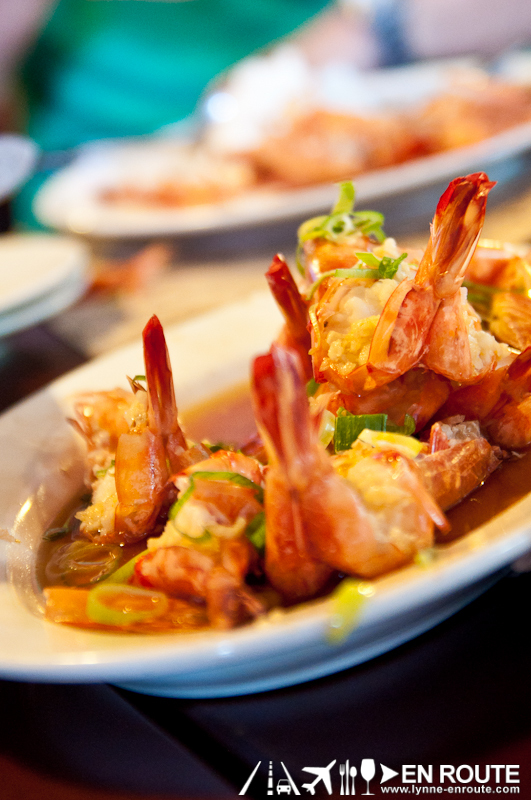 It is the freshness of the seafood that will get to you. And in the blistering Philippine sun, sweet desserts in ice and milk will be the great refreshing finish to meals. 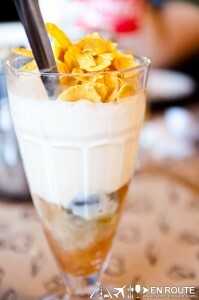 their Saba con Hielo topped with crunchy corn flakes is fun and refreshing. 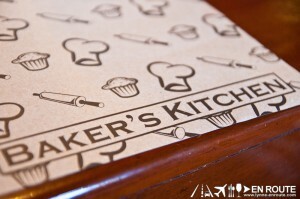 Baker’s Hill and Baker’s Kitchen is located at Mitra Road, Barangay Sta. 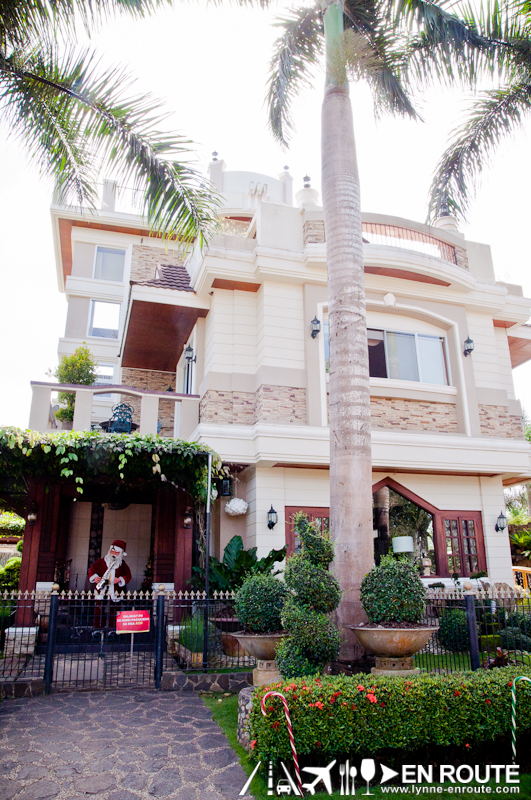 Monica, Puerto Princesa City. It is advisable to get a travel package taht the hotels or local traavel agencies offer to have this integrated in your Palawan Tour. Good job 😀 ! Let us know how it goes 😀 ! love the ube and mongo hopia and ube crinkles!! !